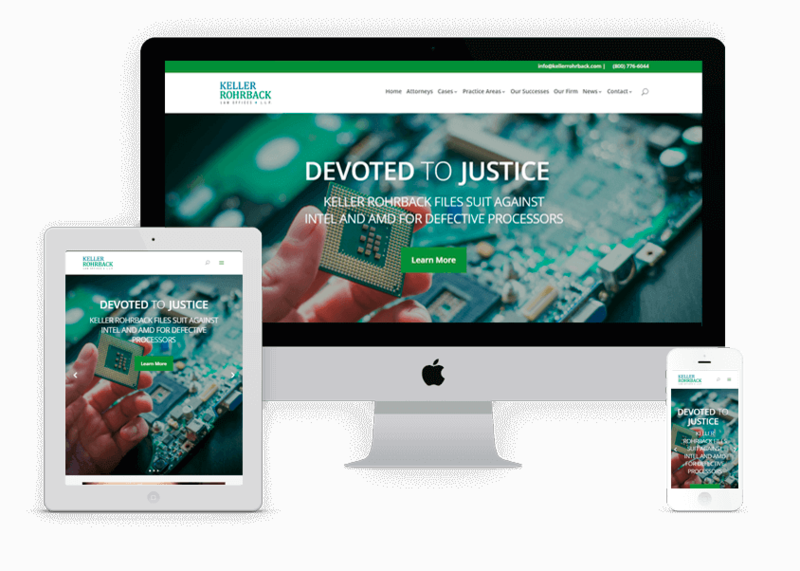 Keller Rohrback, a leading Seattle law firm, wanted a facelift for their Complex Litigation Practice. We created a design that would showcase their current investigations and cases on their homepage and make it easy for customers to connect with them. 3Circle also created custom contact forms for each type of case the firm was pursuing to make it easy for potential clients to complete and also routed to the correct department on the back end.